Today is a day that I never thought would be applicable to me. Today is Pregnancy and Infant Loss Remembrance Day. In the past year I have lost two pregnancies. While on family vacation last month I got the idea of getting a tattoo to remember my two miscarriages. Something about the physical pain coupled with the emotional pain, it felt like a way of being able to move on but remembering. I had always contemplated getting a tattoo, but I could never decide on anything permanent. A friend of mine mentioned she had her daughter’s name tattooed on her wrist, and that got me thinking about doing something for my angel babies. 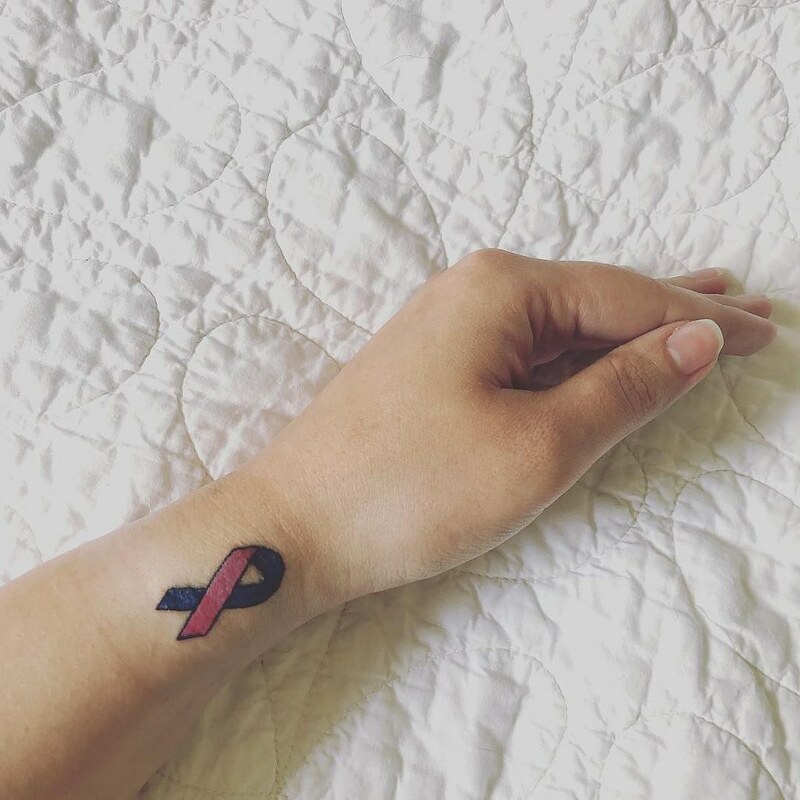 Since this was my first tattoo I decided on something small – the pink and blue ribbon for Pregnancy & Infant Loss Awareness. I got it on my wrist where I can always see it.